You know a company/country/continent is in trouble when authorities start cracking down on short bets against it. That’s why it’s so disturbing how much heat European currency and sovereign debt speculators are getting these days. Even the U.S. has climbed aboard the bandwagon now. 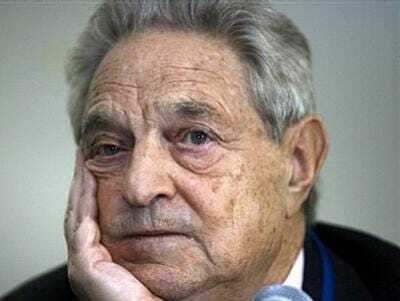 Reports of a U.S. Justice Department investigation into Soros Fund Management, SAC, and Greenlight Capital short positions against the euro broke last week. The Journal article disclosed that the big euro bets were emerging amid gatherings including an “idea dinner” involving a number of hedge funds including SAC, Greenlight and Soros, where a trader argued that the euro is likely to fall to “parity,” or equal to, against the dollar on an exchange basis. The euro currently trades at $1.3609. One of the questions investigators are likely to examine is whether such information-sharing constitutes collusion, the people say. At one such gathering, a dinner on Feb. 8 at a Manhattan restaurant, an SAC portfolio manager said he believed the euro could fall to a level equal to that of the dollar and urged other traders to “short,” or bet against, the euro as his firm had, according to people at the dinner. The size of the bets against the euro is unclear. One of the most dangerous misconceptions used to restrict economic freedoms is that opinions have more weight than fundamentals. Should we arrest people for threatening ‘economic stability’ if they argue against a particular stimulus bill or government and then collectively vote against it? Because that’s all euro-shorts are doing. Whoever thinks that euro speculators are pushing the euro to unfairly low levels has an opportunity to vote against them any day of the week in the currency markets. So let’s not forget that a truly viable currency can carry the weight of open criticism, just like a strong nation or value-system can. Else traders better brush up on their Orwellian double speak.